The A1CNow Blood Glucose System with 4 Tests provides a fast and easy way of obtaining accurate HbA1c results at home. The A1CNow Blood Glucose System with 4 Tests provides a fast and easy way of obtaining accurate HbA1c results at home. Commonly referred to as A1C, an HbA1c measures the last 2 to 3-month average of your blood glucose. 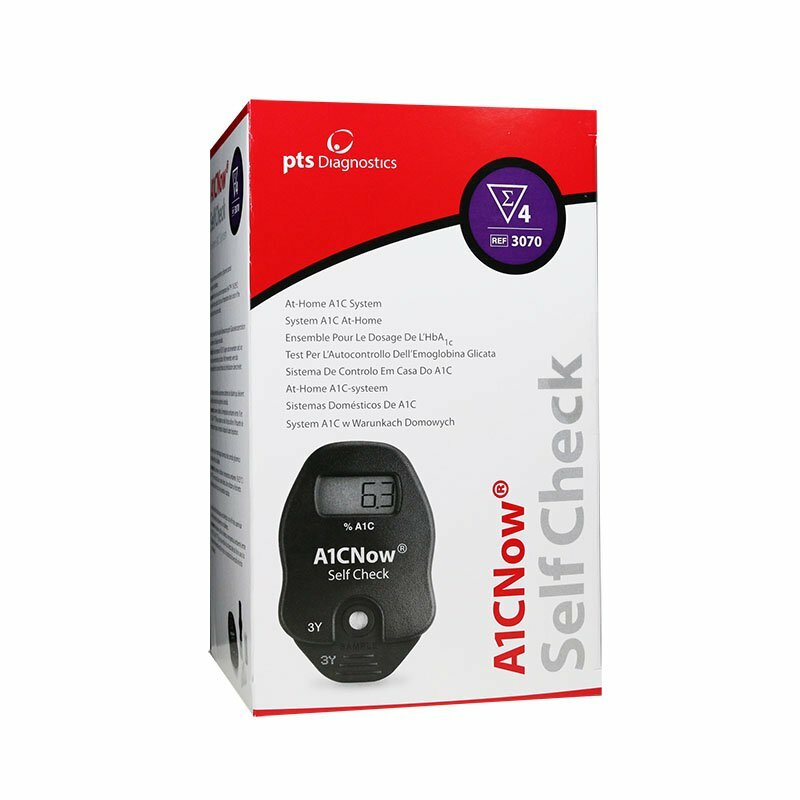 The A1CNow Self Check comes in a convenient 4-test pack with all the items you need to complete 4 tests. Before using this test, please read all the instructions carefully. Store and use at room temperature (64° - 77° F / 18° - 25° C) and out of direct sunlight. Do not use if temperature label is red or if the product is past the expiration date. Note: We strongly suggest that you select Priority or Express shipping service. This is meant to reduce the possibility of harmful environmental conditions affecting the product during longer transit times.